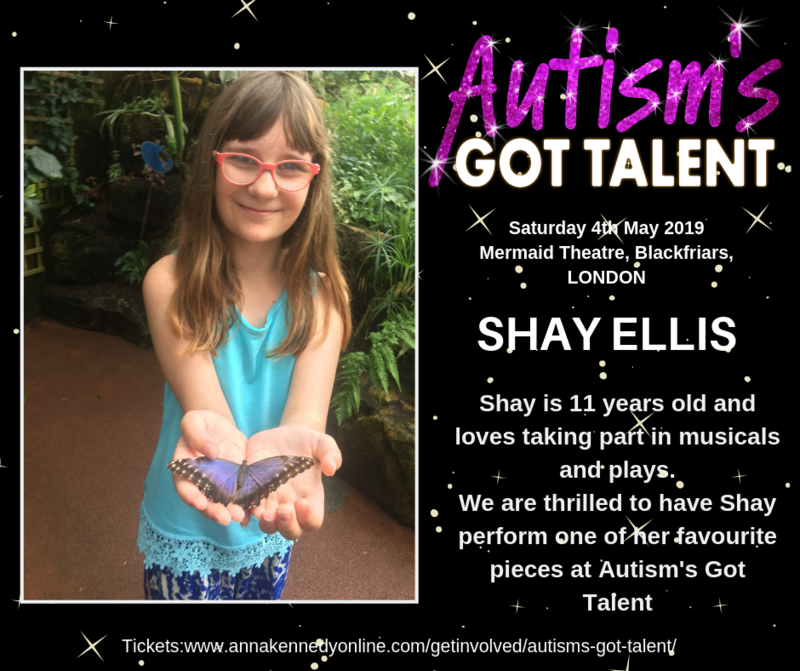 Announcing our AGT performers – London 2019! 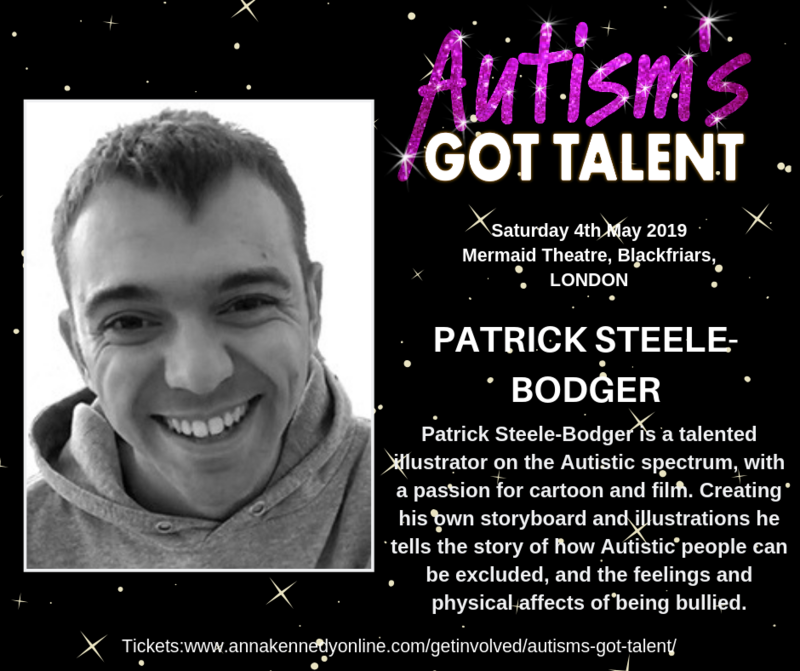 Autism’s Got Talent London is taking place on Saturday 4th May 2019 at The Mermaid Theatre, Puddle Dock, London EC4V 3DB!!! 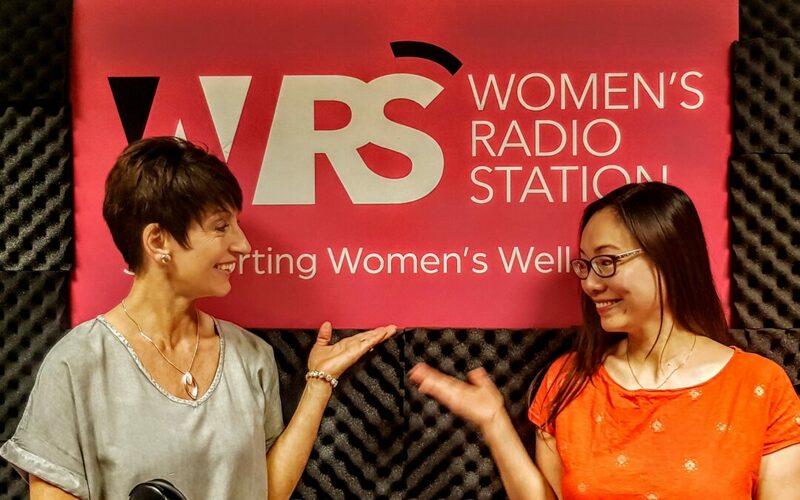 This week my guest on Women’s Radio Station weekly ‘All things Autism’ show is Cherry Cheung. Cherry is a mum to a 7-year old autistic boy and also has an autism spectrum diagnosis in 2017. Cherry is a Senior Lecturer and a Course Director at London South Bank University (“LSBU”). She qualified as a solicitor before joining the academia around 10 years ago. Her current research focus is on exploring entrepreneurship in challenging circumstances and leads a Research Group. Cherry has multiple publications in some internationally renown academic journals. Cherry organised an academic conference on autism and entrepreneurship at LSBU in November 2018 and co-organised an Economic and Social Research Council funded workshop with University of Essex to provide training to aspiring autistic entrepreneurs in February 2019. She has also just got involved in the Additional Needs Ministry at her local church. Anna Kennedy OBE interviewed Cherry this week to talk about her personal experiences as an autistic woman, mum to an autistic boy, researcher, mental health and welling issues and her new volunteer role at the local church. Cherry states that all views are personal. Cherry shared that she sought autism spectrum disorder/condition (ASD/ASC) diagnosis due to her long-standing mental health problems (Depression, Generalised Anxiety Disorder, Obsessive Compulsiveness Disorder) and the similar challenges that she encountered and still encounters as her son does. She also hopes to relate to her son and the autistic community and to encourage one another with her diagnosis and experiences. Cherry shared about her new academic research linking autism and entrepreneurship trying to find the ways to bridge the employment gap in the autistic adults via running ones’ own business. 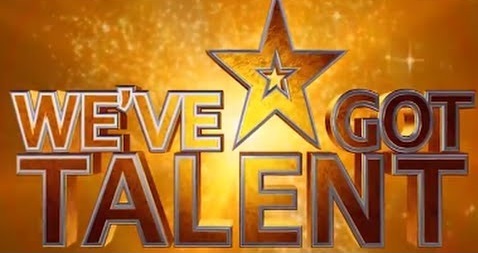 Cherry believes that the stigmas around autism, ASD/ASC and mental health conditions could silence us from seeking help, so we should not feel ashamed about those conditions (“If there is no shame in having a flu, a cold, a diabetes, why should there be shame about having autism, on the spectrum or having mental health conditions?”). Cherry said that making disclosure is likely to increase people’s awareness and understanding about autism, ASD/ASC and mental health conditions. She also shared about the reasonable adjustment that her employer made for her when they recently moved to an open-plan office. Cherry shared the four practical tips, exercise everyday, meaningful social communication with people who mean something to us, do something that we find nurturing and pleasurable, do the tasks that we need to do but keep putting off doing, that her therapist advised her doing to help her mental well being. Cherry also shared that she personally found prayers, meditating on Bible verses nurturing and knowing that God loves her calms her and believes that both of the intrinsic religious practice, medication and therapies work together. Cherry’s family searched and settled down in a local church that has an Additional Needs Ministry as her son likes running including during the church services. As the Coordinator and her family were just called to another church recently, Cherry and her husband volunteer to take up some of the roles and planning (subject to the leadership and ministerial teams’ approval) to organise a family and siblings club for all families with additional needs children to get together and worship God together, following Champions Clubs model. For many parents, receiving a diagnosis for a child who is on the autism spectrum or who has other special needs can be overwhelming, especially if they are unfamiliar with the disorder. There is often a lot of stress and anxiety that comes with such a diagnosis, and parents may be unable to imagine where to go next. Fortunately, there are many ways you can move forward that will be beneficial to both you and your child, and many things you can do to help ensure her comfort and safety as she grows and learns. One of the most common issues parents face when helping a child with special needs is anxiety, as many children who are living with autism, ADHD, or a learning disorder like dyslexia feel stress when they are uncomfortable or overwhelmed. Fortunately, you can help reduce those feelings by keeping her environment geared toward her specific needs and making sure she has a routine she’s comfortable with. Schedules and order are very important for children with special needs, because routines help them find structure and balance. Here are a few things to think about after receiving a diagnosis for your child. There are many different treatments for children who have special needs, as well as many different types of medication. For those who want to try other options, CBD oil may be one worth considering. Derived from the marijuana plant, this treatment isn’t a psychoactive drug; in fact, it has been shown in studies to reduce anxiety and help users focus. Talk to your doctor to find out if CBD oil can help your child, and do some research online by reading guides and testimonials. Many children who have special needs are living with symptoms that can be hard to detect, but easy to remedy. 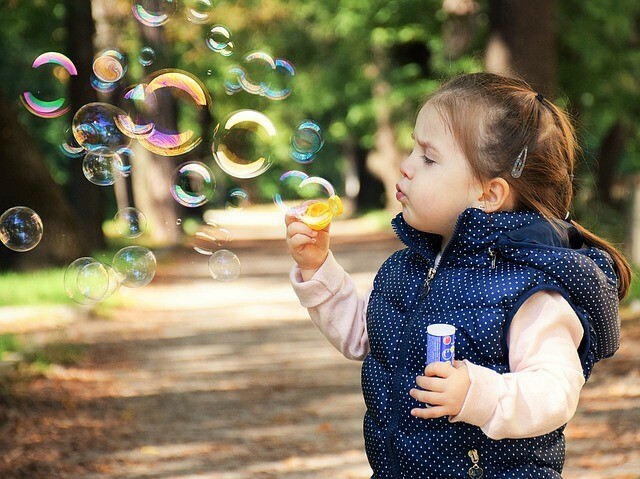 Sensory problems are common in children who are on the autism spectrum; they find it overwhelming to be in a space that has certain colors or types of lights, or they may be very sensitive to sound. Being mindful of these issues and finding a way to take them into consideration will help her stay comfortable and happy. You might have her wear noise-cancelling headphones, or paint her bedroom a soothing blue and adorn the space with soft lighting. Meditation can be extremely beneficial for people of all ages and abilities in reducing stress and anxiety, and the best thing about it is that it can be done almost anywhere. If your child becomes stressed easily or has trouble getting to a calm state when faced with crowds or new experiences, it may be helpful to introduce her to meditation and/or yoga. If it’s something she enjoys, help her create an area in your home where she can relax, with calm lighting and no noise or distractions, and be sure to give her a comfortable spot where she can sit and meditate. Music can be very helpful in helping kids with special needs; not only can it help reduce anxiety and stress, it can help her communicate and release emotion in a new way. 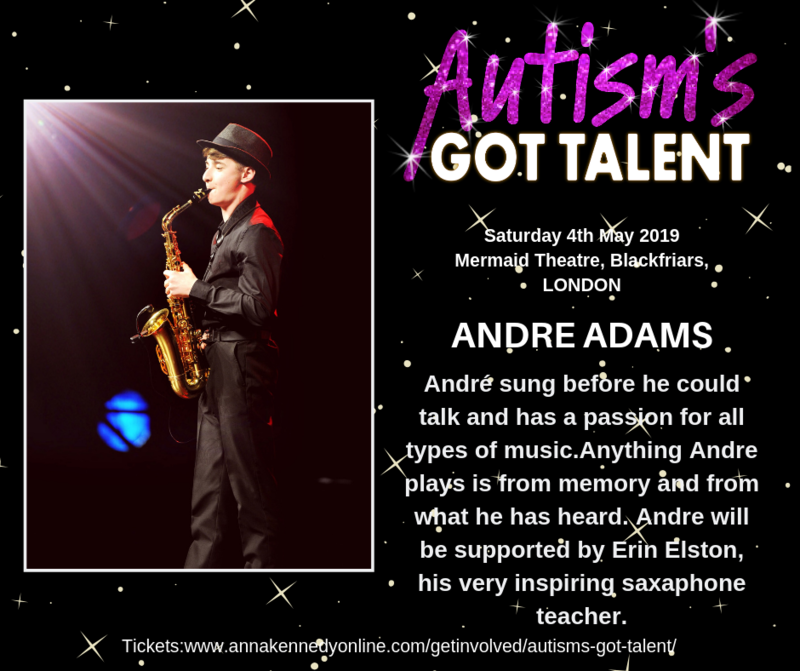 Singing, dancing, and playing instruments can be hugely beneficial for children who are on the autism spectrum or who have a learning disability, because it acts as a sort of therapy for them and can help them learn social skills, especially when it’s done in a classroom setting. After receiving a diagnosis about your child’s abilities and needs, you may feel overwhelmed. Talk to your doctor about any questions you have, and do some research on the various ways you can help your child feel comfortable and safe from day to day. Bullying; been there, done that. I’ve had it all, and then some. I’ve been stuffed in a trash can, verbally abused, hit, had stones thrown at the window of our house and fireworks set off in the drive; I’ve been shoved from behind face-down into the snow and stabbed in the hand with a pencil; someone spat in my mouth and someone else – a horrendous home tutor – sniggered at the unusual gait my dyspraxia gave me. Most of this stuff happened at what I’ve now come to consider the dreaded ‘Double R’ school set-up; specifically Raglan Road Junior School and then Ravensbourne School for Boys. But it was the 1980s, and harassing the living heck out of people with autism was pretty much a fashion-trend, along with deeley-bobbers and the Rubik Cube. I’ve come a long way since then, regaining my education the long way around; I’ve got four degrees – or is it five, I lose count – and a doctorate as well as several published books, articles, awards, columns, etc etc. And I don’t think I could have done it without those bullies, pupils and teachers alike. In fact, I might even venture to say that I might have ended up being rather mundane if they hadn’t spurred me on with their spite. This is all about the concept of taking something negative and positively reframing it, alongside the fact that basically I made a promise to that poor little boy – i.e. me – to make sure I got the education I deserved, basically the one that ended when I was permanently excluded from school aged just twelve, and labelled as ‘educationally backward’ to boot. Now I don’t mean to imply that one needs to go through all those various trials in order to succeed, but even today in 2019 I’m sure that aa very great many autistic people experience bullying of one kind or another, and there is a way to come through it and even to twist it to your advantage. Again, this brings me back to the idea of positively reframing a bad event and plucking what good you can from it and using it to spur you on to even greater feats of accomplishment. I’ve done, and you can do it too, even if it does take a little time to pull it off (I took the long route, but that’s another story entirely). Fighting back unfortunately can often bounce back on you; I walloped one of my tormentors and I was the one who ended up being suspended, when I was just nine years old. 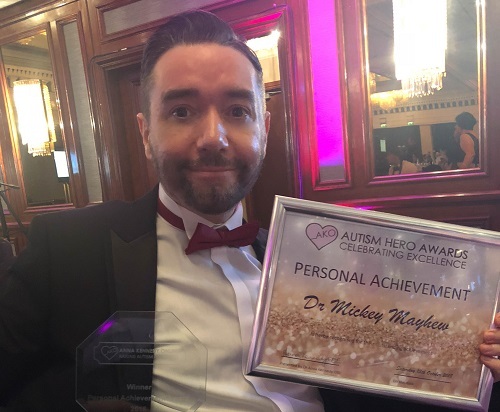 I could have done without that little drama – different primary school for a week until my autistic tendency to routine demanded I be sent back to the original one – but I understand at times it can be hard to stifle the urge to strike back. Instead try taking a deep breath and remembering you’re more likely the one to end up in trouble rather than said tormentor. Try reframing it by imagining the idea that you’re only singled out because you’re special. Special; there, that sounds much better than ‘spastic’ (the go-to term of opprobrium in my schooling heyday) already, doesn’t it?!? 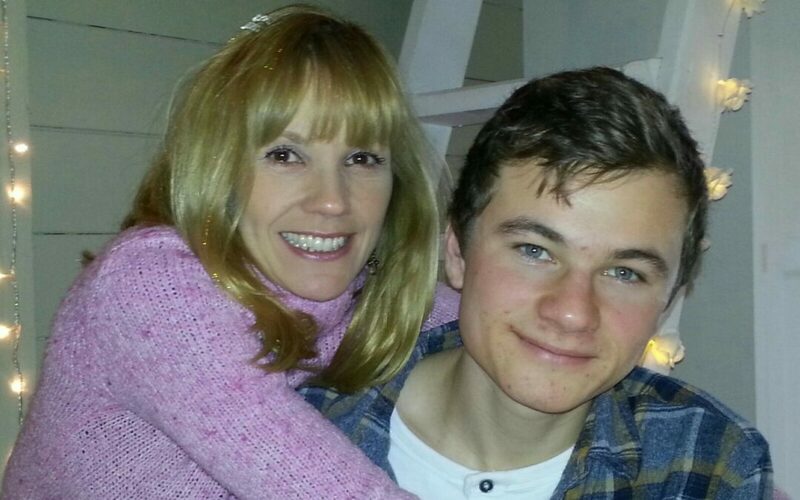 My whole world changed on 8 October 1997 when my second son Ollie was born . Little could I have known of the blessings , heartache but tremendous journey which lay ahead. I knew Ollie was “different” from the start . A big baby , struggling for oxygen during his birth , he seemed totally overwhelmed from day one. He was so sensitive to sights, sounds and processing the world he now found himself in . I adored him instantly and somehow knew he would be teaching me . Ollie was extremely slow to speak but I knew he was furiously absorbing absolutely everything around him . His understanding was incredible . When he did begin to speak at around 3 , it was instantly in full, articulate , almost antiquated sentences as if he had just strolled out of an Enid Blyton story. What he talked about seemed way beyond his years too. He was also three when he first laughed – a great belly laugh that had us all falling about in stitches . I’ve never forgotten that moment . When Ollle joined nursery, his uniqueness, which is how I’d always seen it, became more apparent . Ollie would play next to, rather than with other children. He couldn’t role play, read faces or body language and would often be made to sit under a table or stand in a corner . So I guess from pretty early on the message was one of exclusion and isolation which also affected us as a family. I feel so keenly the isolation families of children with different abilities. Ollie , the boy who I’ve always said has ink not blood in his veins, began increasingly to submerge himself in a world of books, writing and endless lists of words, a notebook and a Thesaurus forever by his side. As he wasn’t naughty or disruptive, primary school teachers would shake their heads in confusion telling me they “didn’t know which box Ollie fitted in”. Enduring bullying from primary school, which reached horrific levels ( including hospital visits ) at times, Ollie saw writing as his life raft ; his communication with but also protection from an uncomprehending world. His diagnosis of ASD came through at 9 after so much fighting but I didn’t tell Ollie until he was 13 because I didn’t want him to be a label. To this day, Ollie’s writing is staggeringly beautiful. His empathy , contrary to common myths about autism, knows no bounds: he becomes what he writes, he is a word shape shifter. Being in gifted & talented for English amongst other subjects, absolutely got him through. His teachers would be reduced to tears by his poetry. Here was such a gift. My surreptitious visits to school on “insect days” as Ollie called them, where I would talk to teachers about Ollie and not just his label, were invaluable. I knew from early on that I had to not only educate my son about the world but I had to educate the world about my son. When Ollie hit college at 13 however, he was plunged like a stone to bottom sets with no warning. This included English: in one stroke the school had removed Ollie’s present and future as he was dreaming of doing an English degree. I took it to County, sat with my sandwiches until I could see the right person, determined that Ollie could sit his exams in a different format. I was awarded it immediately … and this precious funding was legally spent elsewhere. The head of English who refused to budge told me that I had to “accept that Ollie will never achieve because he has autism”. He picked up crippling and debilitating OCD, ended up being tested for psychosis and having suicidal thoughts. He made several attempts on his own life. “Friends” dropped him. The bullying worsened. He walked a purgatory as our home life wasn’t safe either at that time. I don’t know how he did. He will always be a giant in my eyes . I sent Ollie’s work off to authors. I have two box files full of their replies telling him that “he was a writer already” and “not to let school define him”. It was at this time that I took the massage therapy I had developed with Ollie,to help reduce his issues and challenges and to help him bloom, into schools all over my local area, working for free with a foot that had been badly broken in three places. They were desperate times and we had no choice but to fight to survive. I now take this work into schools and charities worldwide and have written a book. I could never have dreamed it all possible. 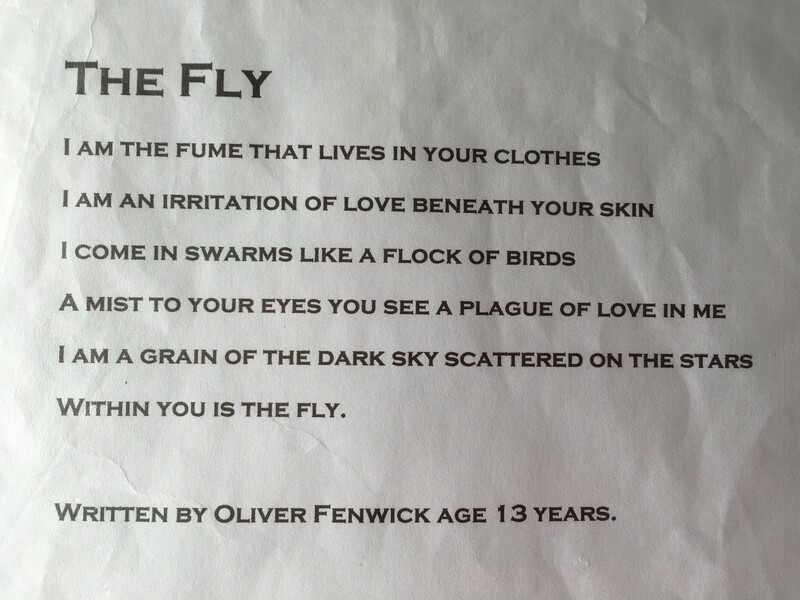 A poem written by Ollie aged 13 when challenged by a teacher “Write a love poem to a fly” for Valentine’s Day! (please note he is Oliver Wheater now, not Fenwick). 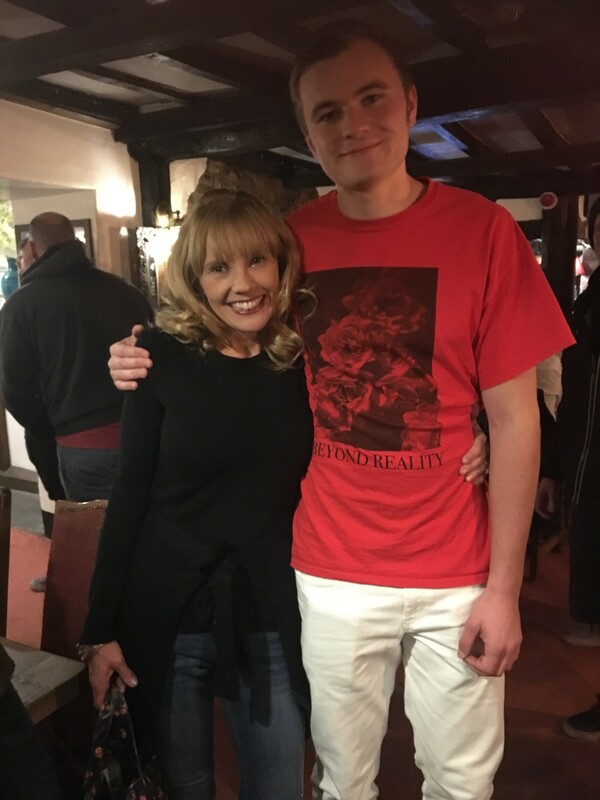 As my work took off, we could break free and I could set up my first therapy chalet where I insisted Ollie sat his exams instead of at school. He achieved 11 A-C GCSE’s but he couldn’t do English A level as he had been refused the higher paper . So Ollie did media studies, drama and art ,gaining A*, A and C grades. He went on to Bath Spa, his first choice university, to read creative writing and publishing and has just been invited to do a masters in creative writing! So much for the “boy who would never achieve”.